Here at B.I.N.G.O! Salsa we use only the finest tomatoes, onions, cilantro, garlic, peppers and spices to make our salsa, so that it's fresh. B.I.N.G.O! 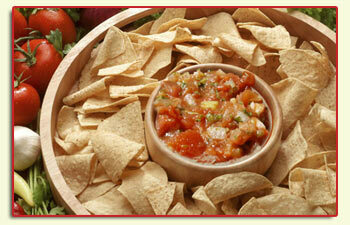 Salsa is an all-natural, fat-free, low sodium, low carbohydrate, gluten free product that's high in flavor. It's available in mild, medium and very hot. Thank you for buying and/or inquiring about B.I.N.G.O. 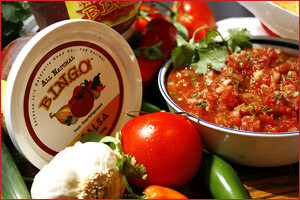 Salsa, if you have not already, we hope you will be inspired to add B.I.N.G.O! Salsa to your shopping list. "I can't stop eating it, I buy more chips just to finish a tub of this stuff!" © 2014 B.I.N.G.O! Salsa. All rights reserved and Trademarks.